If you’ve been a victim of a criminal act, then you’ve every right to seek compensation for your injuries and the stress caused by the event. Criminal injuries can often feel like a random act of violence, and we know it can be difficult to come to terms with what happened to you. But claiming compensation following the injury can help you to get back to where you were before. Of course, compensation can’t take away your injury, or your memory of being involved in a violent crime. But the money you receive can be put towards counselling to talk through what happened, or private medical treatment to help you recover from your injuries more quickly. It can also cover the expenses of your injury such as time off work, as well as travel or medical costs. If you think you might have a claim and would like free advice, you can contact us on 0800 234 6438. All calls are confidential, and you’ll never be pressured into starting a claim. The Criminal Injury Compensation Authority (CICA) is a government-run body. Set up in 1966, the CICA is there to help people injured in a violent crime gain access to compensation, and as a result are often responsible for paying out compensation settlements. The CICA can also award compensation for people injured while trying to prevent a crime; although this is often only the case when the risk was ‘justified and exceptional’. You may also hear the CICA referred to as the Criminal Injuries Compensation Scheme. Claiming for a criminal injury is slightly different to a typical personal injury claim. This is because you have a shorter time frame to start your claim; it must start within two years, rather than three. You also have longer to claim if your injury happened when you were a child, or before 1st August 1964. Also, if your injury happened in Northern Ireland then the process of claiming is different – you can find out more here. If you submit your details via one of our online forms, we can call you back for free to discuss your eligibility. Criminal injury compensation is usually paid by a government-funded body called the Criminal Injuries Compensation Authority – this video explains how these claims function. Unfortunately, there are several types of crimes where the guilty party might not have been caught by the police – for example, in a mugging or a burglary. The CICA exists to make sure that anyone who suffers in these types of criminal acts is able to claim compensation for their injuries and any psychological effects it may have had on them. When it comes to compensation for a criminal injury, the injury in question can be physical and psychological. If you’re mugged, beaten up, attacked or assaulted then it’s likely you’ve been physically hurt, but it’s also likely you’ve suffered some form of psychological trauma. While psychological injuries aren’t as visible as physical ones, and therefore can appear less severe, this often isn’t the case. You may no longer feel safe when in your own home or walking by yourself. If you’ve experience this, then you can talk to us about making a mental health claim – we can advise whether we think you might be eligible to make a claim and can help you take the next steps. If you witnessed a violent crime, it’s likely you’ll be experiencing some trauma and shock. Whether it was an armed robbery or a physical attack, the effects afterward can have a long-lasting impact on how you live your daily life; leaving you anxious about public spaces or even feeling afraid to leave your house. If this sounds familiar then it’s likely we can help. 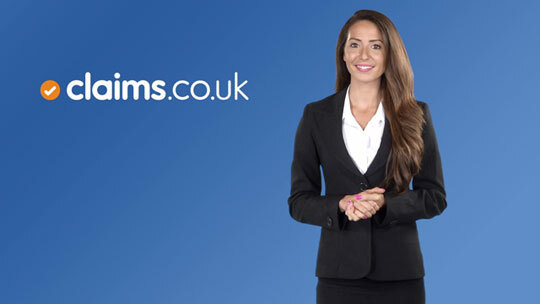 We offer free, impartial advice, without any pressure to start a claim – so either contact us on 0800 234 6438 or provide us your details and we’ll call you back. You can claim for any type of injury you have sustained in a criminal attack unless they are only minor injuries. This means you are unlikely to be able to make a claim if your only injuries are bruises and scratches. However, if you have a number of bruises and scratches and you need to see your doctor to be treated at least twice, and it takes you more than six weeks to recover, you might then be able to make a claim. The amount of compensation you’ll receive depends on your injuries and how serious they are. However, as a rough guideline, you might receive £1,000 to £2,000 for a broken nose, or £1,000 or more for soft tissue injuries (depending on the severity). If you have more than one injury, you’ll usually be awarded the full amount for the most serious injury, 30% of the amount for the next most serious injury, and 15% for the third most serious injury. An award for the most serious criminal injuries could reach as much as £500,000. Will the CICA cover my financial losses? Quite simply, yes. When making your compensation claim, the financial losses caused by the criminal injury will be taken into consideration and the compensation you receive will cover your out-of-pocket expenses. For example, if you were left unable to work following your injuries then you may have received reduced earnings. This can be covered by the CICA. If your criminal injuries mean you’re out-of-pocket because you’ve had to pay for medical treatment and travel to hospital, you might be able to claim a ‘special expenses payment’. However, this is only available if your injuries left you unable to work (or otherwise incapacitated to the extent you were unable to do your usual daily activities) for at least 28 weeks. Your solicitor will tell you what you can claim in addition to the actual injuries, and how you can prove your losses. It’s extremely traumatic to lose a loved one following a violent crime. No amount of money can bring back your life partner or your child – but it can help to ease the consequences. If you’ve lost a spouse or partner as a result of criminal injuries, you might be able to make a bereavement claim (as long as you were not estranged at the time of death). Children, including adult children can also make a bereavement claim. You might also be able to make a claim for dependency if you qualify for bereavement compensation. To do this, you’ll need evidence that you were financially or physically dependent on your loved one at the time they died. Your solicitor will be able to tell you whether you can claim, and what you need to provide to help with your claim.